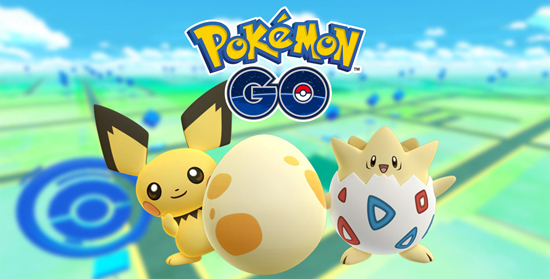 Beginning today at 6:00 p.m. GMT, Trainers around the world will have the opportunity to add Togepi, Pichu and select Pokémon originally discovered in the Pokémon Gold and Pokémon Silver video games to their Pokémon GO Pokédex. Trainers have the chance to find these Pokémon by visiting and spinning PokéStops to acquire Eggs. These Eggs might hatch a Togepi, Pichu or select other Pokémon. 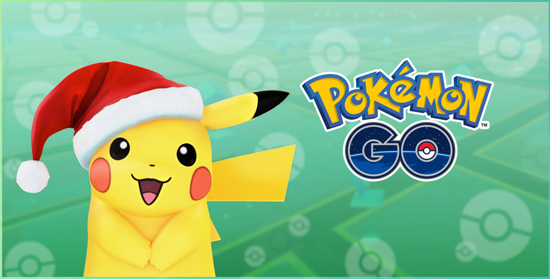 Additionally, from December 12, 2016, 6:00 p.m. GMT to December 29, 2016, 7:00 p.m. GMT, Trainers can encounter special-edition Pikachu all over the world. These Pikachu will be wearing a festive hat to celebrate the holiday season, and they will appear in large quantities during this period. Trainers are invited to use the hashtag #PokemonGO on Twitter to share news about any new Pokémon they encounter. To keep up with the latest Pokémon GO news, including this rollout of more Pokémon and the appearance of the festive Pikachu, visit the official Niantic blog at PokemonGOlive.com.